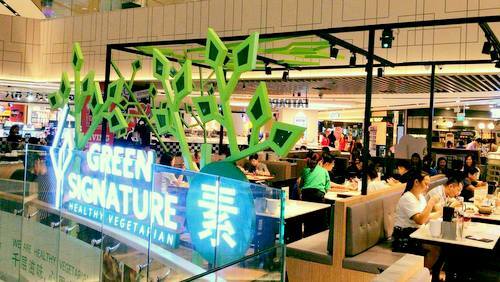 Vegetarian restaurant Green Signature has four locations in Singapore, including one within Century Square mall (2 Tampines Central 5). At Green Signature, a vegetarian restaurant concept created by A-One Group, the delicious, healthy signature green meats are made with real vegetables. One of the core principles behind Green Signature’s menu is that eating healthy should a delightful gastronomic experience. This translates into different palettes of vibrant colours that are served on sizzling claypots and hotplates, where every dish brims with bountiful servings. 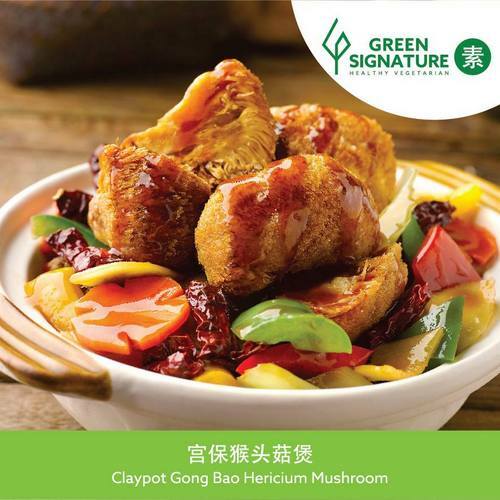 …Handmade Beancurd with “Chai-Po” in Hong Kong-Style Sauce, Stir-fried Fresh Mushrooms, as well as Assorted Fruit and Flower Tea. The official The Green Signature vegetarian restaurant Facebook page is located at www.facebook.com/thegreensignature/. You can also follow the restaurant’s official Instagram account, which in turn is available at www.instagram.com/thegreensignature/.